From Sidewalk to Stage: Connecting residents to open space, healthy foods and music. See all of the El-Space projects! 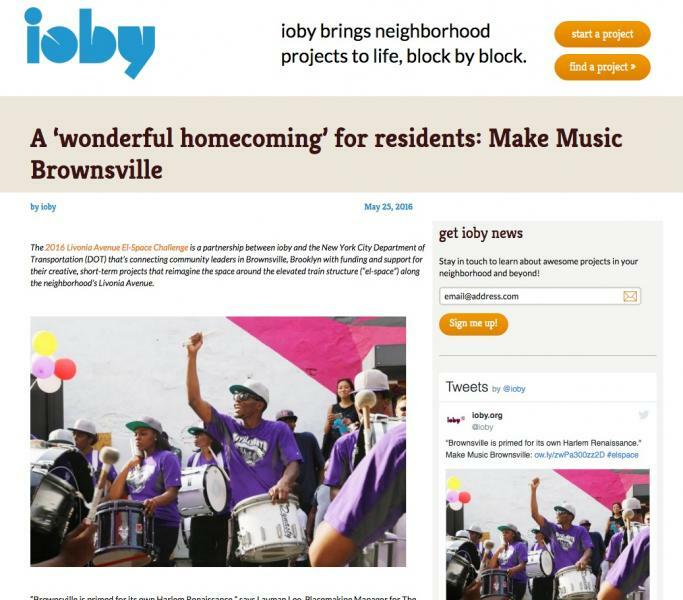 Make Music Brownsville engages residents with existing assets along Livonia Avenue by activating the sidewalk with music, dance and performers with the goal of erasing the perceived barrier of the physical fence and connecting pedestrians with open space and healthy foods. 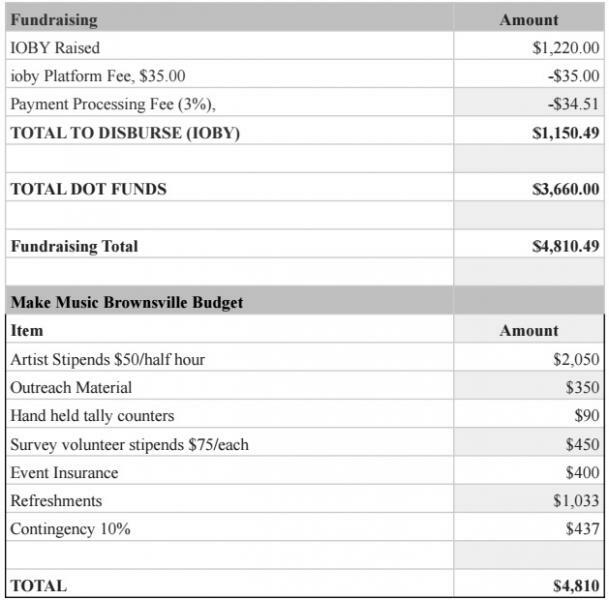 Make Music Brownsville will activate several locations on Livonia Avenue to highlight open space and the Youthmarket on Rockaway on Livonia. On September 10th, Make Music Brownsville will be a meeting place with an open mic for resident artists and performers from all over NYC. With music as an attraction, residents will be invited to participate in a survey to assess future programming needs in Brownsville parks and open space. Friends of Brownsville Parks is a committee of engaged neighborhood partners consisting of local organizations, community board, health providers and residents. We have leveraged this partnership to secure event locations, and can rely on its stakeholders to engage participants and residents. Through social media and on the ground data collection, Friends of Brownsville Parks will use these events as a way to conduct an open space programming needs assessment. Click the image above to learn more about our work and take a moment to support the project with a tax-deductible donation today! Provides stipends for 5 artists to perform for half the day!